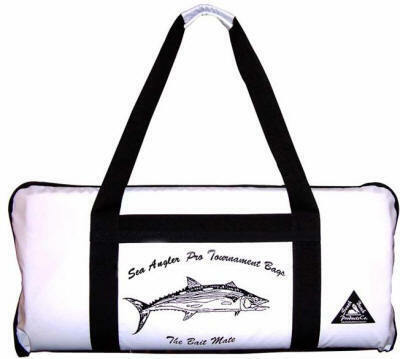 The Sea Angler Offshore Insulated fishing bag was designed exclusively for the tournament and offshore angler. 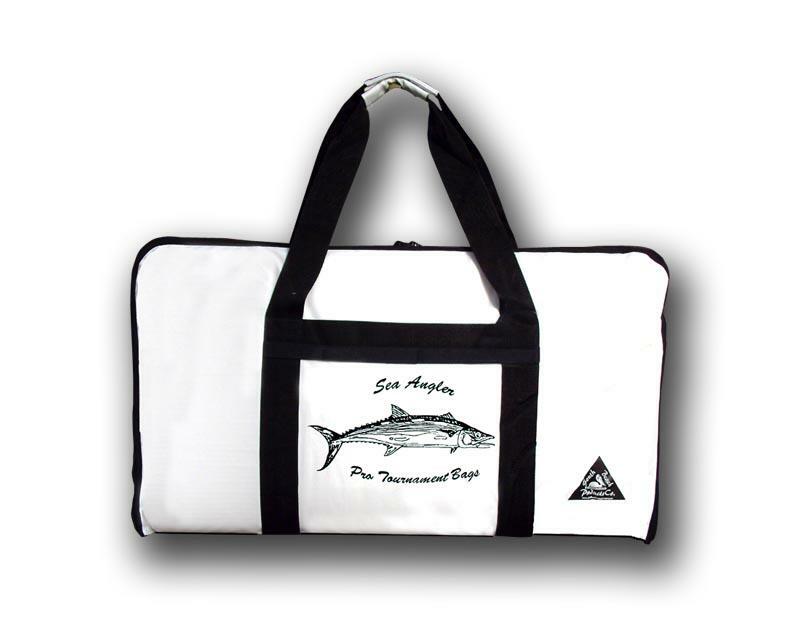 This bag is perfect for King, Cobia, Dolphin and Swordfish. 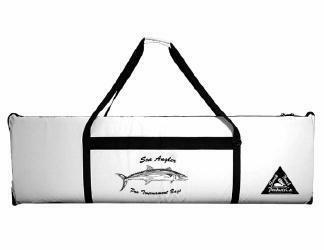 The Offshore Bag includes: UV protected PVC Nylon, 3 inches of insulating foam, reinforced shoulder and hand straps for easy carrying, printed 36" ruler and folds flat for easy cleaning. 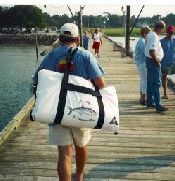 The Inshore bag was designed with the help of inshore fishermen around Charleston, SC. 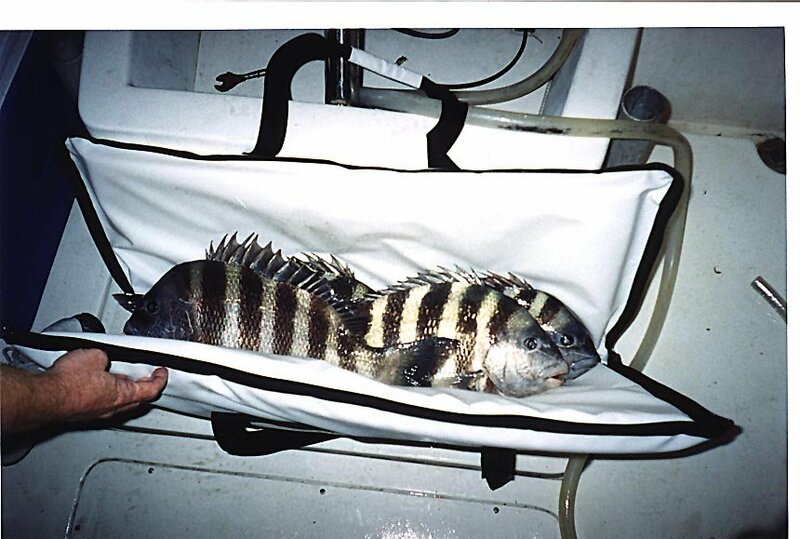 Many inshore fishermen enjoyed the use of other insulated offshore bags, but found them cumbersome for use with inshore fishing. The Sea Angler inshore bag was designed to give the inshore fisherman the bag they desired at the size and quality they demanded. 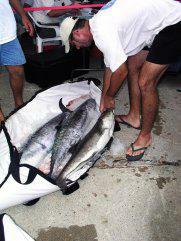 The inshore bag is also ideal for pier, jetty and surf fishing as well. The inshore bag includes 3 inches of insulating foam, UV protected PVC nylon, reinforced carrying straps and folds flat for easy cleaning. Exclusive to Sea Angler Pro Tournament Bags! 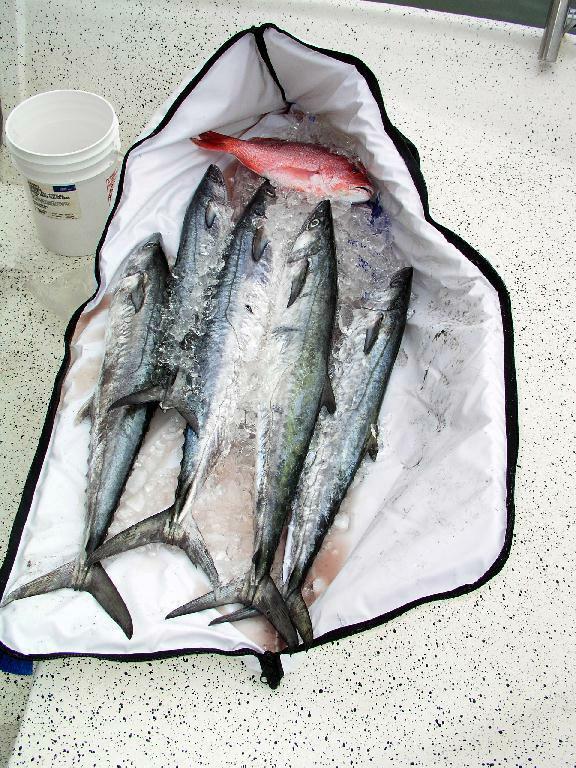 Our exclusive Bait Bag is outfitted with 7 pockets to keep your pre-rigged ballyhoo, ribbonfish, mullet, etc. separated. Put your bait in the pockets, place a bag of ice in the bag, zip it up, and your ready to go. This bag is also becoming a favorite with sea kayakers because of its size, storage, and excellent insulation. The bait bag is made with UV protected PVC nylon, reinforced carrying straps, 3 inches of insulating foam and folds flat for easy cleaning. Each plastic bag measures 5" x 5". Each group contains five sealable bags. There are five groups. There are 25 storage bags in total. 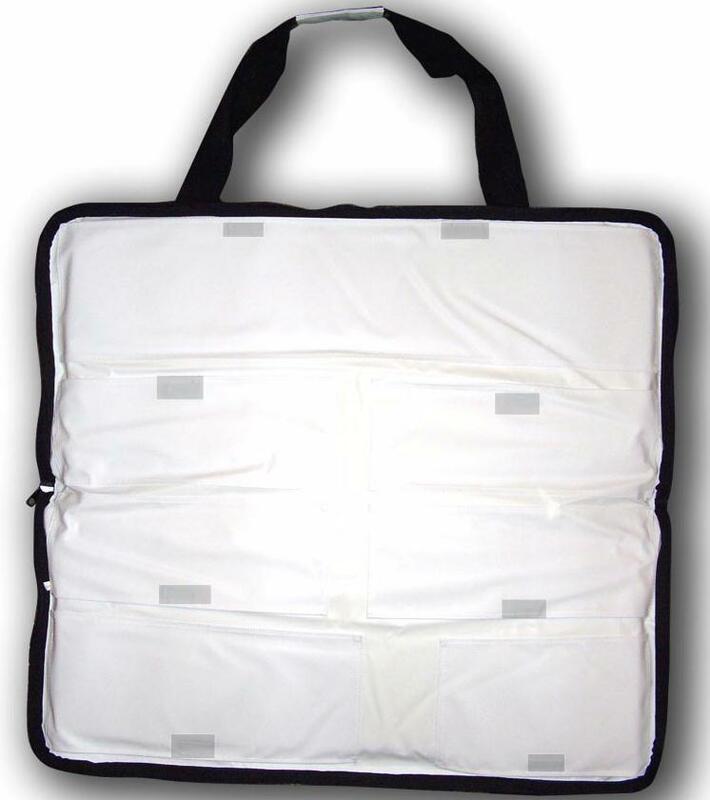 The white exterior bag is padded so you can store weighted rigs and protect your boat and other tackle. 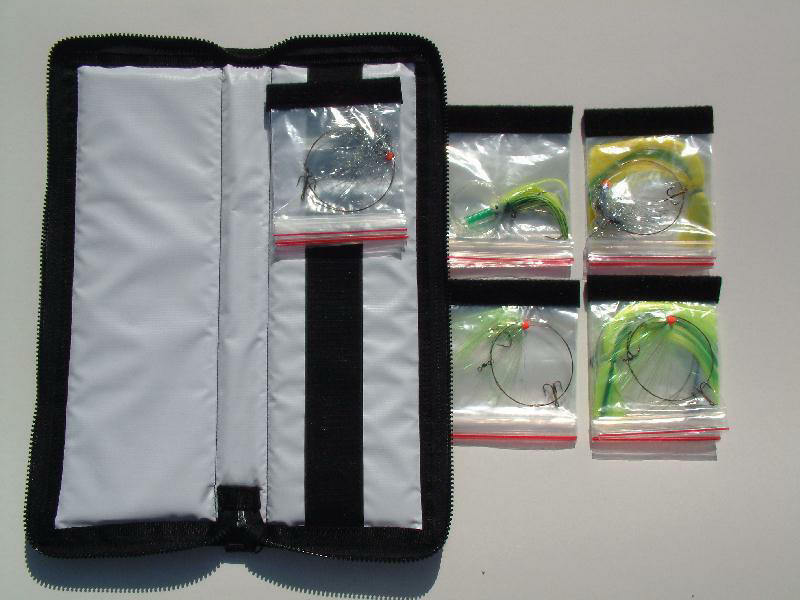 This is a great way of storing and organizing your leaders, ballyhoo rigs, and bottom rigs.